Rated 5 out of 5 by pennmom36 from Follow Me! The Mystery Trackers agency has received an emergency distress call from fellow agent Shade at the Winterport Station in Alaska. Professor Lloyd had made an amazing discovery there, when he excavated a man from an ancient civilization. The bitter cold and frozen ice kept this cadaver in a perfectly preserved state, ideal for the professor to examine and study the body of one of the oldest known civilizations, often referred to as the "Cold Stalkers" The problem is, this man wasn't dead, and this man is sabotaging the Winterpoint Station! Elf has pinned on his badge, donned his warmest parka and slipped on his fuzzy little booties to join us once again, as we try to track down a shapeshifting entity on a deadly mission. Never fear, Elf's ready, willing and most definitely able to lend a paw at a moments notice, bravely going where no dog has gone before. The Agency has equipped us with the latest gadget available, a Visor capable of detecting heat and energy sources as well as identifying damage and detecting signs of life support systems. Each time you use the Visor, you are prompted to find 6 lightning bolts or various other symbols. Some of the inventory items are complex Plus Sign items that require some type of interaction before using them, and the Collector's Edition has the addition of 24 Achievements to earn and two different types of collectibles, Characters, like the boss, a photographer and a snow mobile driver, as well as brightly lit Stars that are stored on your Starry Sky constellation map. The Collector's Edition also has Morphing Objects to find in each scene, a feature Mystery Trackers made famous! The Hidden Object Scenes vary, which isn't the norm in this series known for it's detailed scenes with interactive list finds. There are still some listed item finds, one of which require a flashlight to find items in a dark room. There are also interactive silhouetted shape finds, multiples of one item and one where you click to move an item aside revealing a hidden item that needs to be matched with it's partner. The Mini Games are way too simple in my opinion, the only one's that aren't are the Rube Goldberg style puzzles where you interact with several small and quirky puzzles on a panel or board. There are simple puzzles of swapping or rotating tiles, clicking on buttons in the correct sequence, punching in code numbers to crack safes and a somewhat confusing game where you use security cameras to pinpoint the correct area that the power is blocked and then you connect the power lines to restore the flow of energy. The Collector's Edition has 8 Wallpapers, 8 Concept Art pictures, 6 Music Soundtracks, 24 Achievements, a Secret Room, a Starry Sky constellation map that houses 40 Collectible Stars, Morphing Objects, Collectible Characters, a built in Strategy Guide and a Bonus Chapter, enjoy! Rated 5 out of 5 by biscuitsmama from BEWARE! 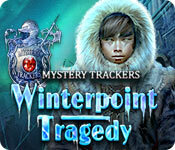 THE COLD STALKERS ARE HERE Winterpoint Tragedy is the ninth game in the Mystery Trackers series and this one was worth waiting for since after a string of so-so games in the series this one seems so much better. A distress call from Agent Shade at Winterpoint Station has you skydiving in to see why kind of trouble is stirred up for your super sleuthing abilities this time. With your trusty pup-in-boots companion (aka Elf) by your side you face danger as you come face to face with the Cold Stalkers. Who are they? Are they and where did they come from? You are sure to have several hours of fun ahead as you solve this latest case in the Mystery Trackers series. There are four gameplay modes including Elf, Scientist, Cold Stalker, and Detective (custom mode) where you can select your own gameplay settings. With the mammoth team at the helm, we have excellent graphics that are crisp, clear, and colorful. As we face the typical hot August weather here in Northern California, it is refreshing to have nice wintry vistas to search. The voiceovers are very good as is the overall sound package in the game. 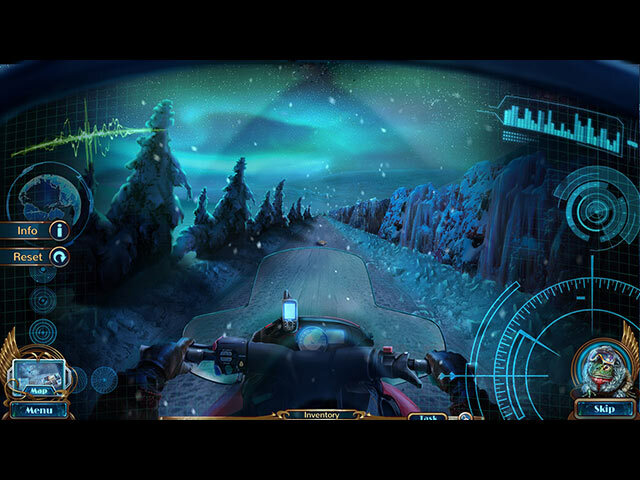 A Mystery Trackers game without little Elf just wouldn’t be the same so I am happy to say he is tagging along with me on my adventure to Winterpoint Station. Early in the game I acquire my portable command center that contains virtually all of the information I need or collect during the game. There is another tool that I acquire early in the game and it will scan an area and identify certain information. Yes, I know that it is most likely going to be called a gimmick but it is a tool that will prove helpful and because I don’t want to spill the beans and ruin your fun, I will leave it to you to find out how it works. Oaky so here is where the game becomes a bit iffy. The HOPS and puzzles fall short of being challenging and are the run of the mill that we find in all games of this genre. 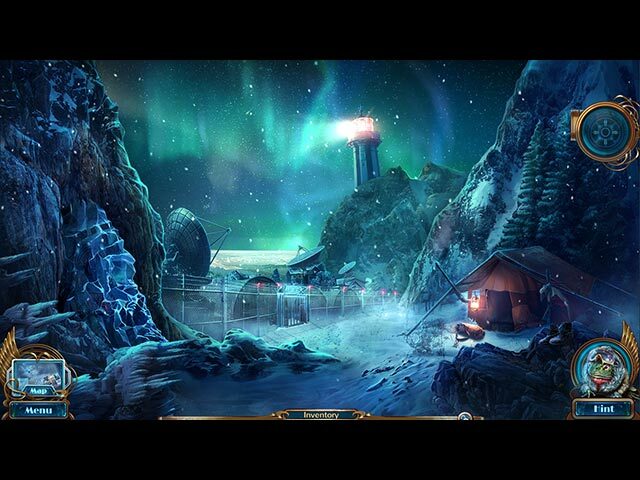 After recently finishing a game that was reminiscent of the challenge we once found in HOPA games, it was almost mechanical to go through the HOPs and puzzles in Winterpoint Tragedy. That being said, there are many gamers who are new to the genre who might not have seen these puzzles many, many times before, and for me no matter how easy the puzzles might seem I still manage to find them entertaining. Mystery Trackers is my favorite series and all nine games have been an instant buy for me. I enjoy the stories and being a Chihuahua lover, Elf is my favorite game helper because I always enjoy his antics. Although the game is not a huge challenge, it is still entertaining and, IMHO, very good. Even though the game was an instant buy for me, as always, I recommend that you at least try the demo to see if this is a game you will like. Rated 5 out of 5 by skullfun from Mystery Trackers 9 continues for die hard fans!!! In this edition you face the ultimate threat for mankind, coming from the polar ice in Mystery Trackers: Winterpoint Tragedy SE or CE! When connection with the arctic research lab called Winterpoint Station, where researches of utter importance were provided, was broken, Mystery Trackers send an agent. Strangely it wasn’t you – it was your colleague Agent Shade. And shortly after she arrived you received a distress call from her, where shadowy figures were taking her away! Now you and Elf are going to land onto snow that wasn’t melted for thousands of years to face ancient creatures, vile and intelligent. They are Cold Stalkers (some kind of Alien race) and you must save the world from DEEP FREEZE. Assist Agent Shade and Professor Loyd in this fast paced, action packed adventure full of twists and subplot. I love this series and have played them all. The graphics could have been executed better, but the storyline is captivating and the Bonus Chapter in the CE version is a nice conclusion to the entire game. It doesn't matter if you haven't played the other games in this series. This is a great one to start with leading the casual gamer into the world of Mystery Tracker. Good Luck and Enjoy!!! Rated 4 out of 5 by wild_irish_rose from MTrackers-Winterpoint Tradgedy This was a well put together game, It was a departure from the earlier series of games but I enjoyed the twists and turns in the plot. The characters were pretty well defined and the story line interesting. The HOP's were great and the puzzles were great in that they were not too hard but not too easy either. Rated 4 out of 5 by ninja226 from good mystery story, but too short I bought this as a Catch of the Day, despite the negative reviews. As long as you don't expect a long game, you should have fun.The visual elements are very good. There are special effects and voiceovers, so it's like being transported into a movie. No, it is not scary, eery, or horrifying--just a mystery that Nancy Drew would try to solve. You have Elf the cute chihuaha helping you with tasks. There is a scanner that alerts you to problems and tasks that need to be accomplished in your journey. The HOs are not plentiful, unfortunately. I disagree with people who don't like piles of junk to go through, because that's why I play the games. The puzzles are fairly easy, but some are challenging and require some time to solve. I don't know how anyone finished this game in 1 hr. Wow. I had to skip some puzzles. Ignore the negative comments. This is a decent addition to the series, just wish it were much longer. I would recommend this game purchased on sale or as a catch of the day. Has anyone noticed Agent Shade looks a lot like Amber Valletta? The resemblance is striking. Rated 4 out of 5 by PATinPNS from This was a Chilling Experience This is posted after completing the entire game. I found this game to be fun. All the various aspects of the game came together to make it so. Graphics were very good, although the action parts were not very well animated, everything else were perfect. 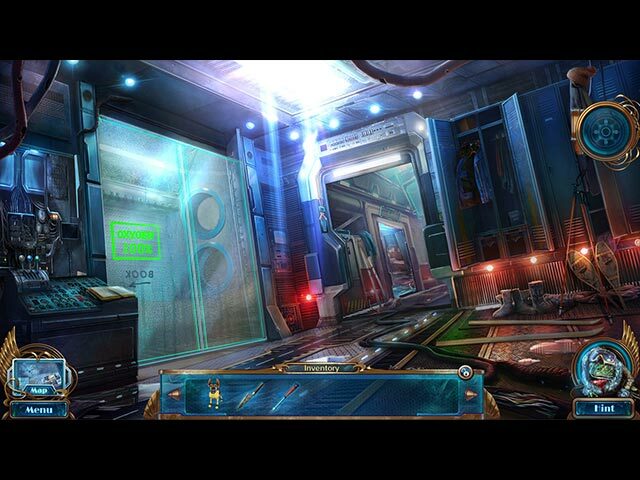 Hidden objects were clear and the scenes were well done. Effects were really good as were the voice overs. The music went along with the action so no complaints there. I did have a little trouble with the silhouuettes . They seemed so small and a lot cramed into a small space. This of course could be my computer and was nothing that was a problem. As mentioned the hidden objects were clear and well hidden and varied. Kept my interest throughout. Mini games, well they were mini games and although I tried to complete them, I just don't have the patience to keep clicking until I find the right combination. I don't like those, "one may effect others" types of games and this seemed to have its fair share. You have several degrees of difficulty from which to chose. The interactive map was very helpful in transporting and showing where there were areas that needed attention. Elf, bless his little heart, was a big help. I know there are those who don't like him, but he makes the game fun for me. You also have a journal, which I didn't use. Matter of fact forgot about even having it. I won't go into the story, because Big Fish does a great job setting it up for you. The story was complete. There was a beginning and a pretty good ending. That's a rare comodity these days, but the continuity kept things moving and my interest all the way through. Great writing. All in all this is a really good game. Play the demo and I think this will be a buy for you too. This may very well become my pick for game of the week. Rated 3 out of 5 by softwarefever from Pretty Good, Kinda Quirky Mystery Trackers series is one of my favorites because of the visuals and storyline. This one was ok, but I played it in Casual mode just to get through it. There were too many super puzzles for me, especially at the end. I skipped most of them, and some just didn't make sense on how to play. The mouse is very touchy in this game which made some selections difficult. Driving the snowmobile was fun and watching Elf distract the Iceman at the end was too cute! Rated 3 out of 5 by kkboyd from Not as Good as Other Mystery Trackers I've enjoyed all the others but this one was a clunker. Scenes took forever to load. The Hint frog was incredibly ugly instead of cute like before. The potential was there - a frozen north story and myths of ancient peoples. But the artwork was clumsy, especially the bad guys. Even the good guys were very artificial, standing like statues. The storyline was lame and didn't make much sense. I did the cheapie version but have never been disappointed with that version before. Rated 3 out of 5 by Meganthedog from Should have been better The premise of the Cold Stalker was very promising but menacing it was not. Remember Raincliff and the Faceless Ones? Well, there was none of that suspense. The visuals were good as was to be expected but that was the only outstanding thing about it. The innovation of the area scan was tedious, which was a shame because the developer is obviously trying to introduce new elements to this established series. The storyline limped along, with far too many cut scenes/conversations and I simply was not taken along with it; indeed, I was rather glad it was quite a short game. I recommend only if you've got a free game coupon which is about to expire.